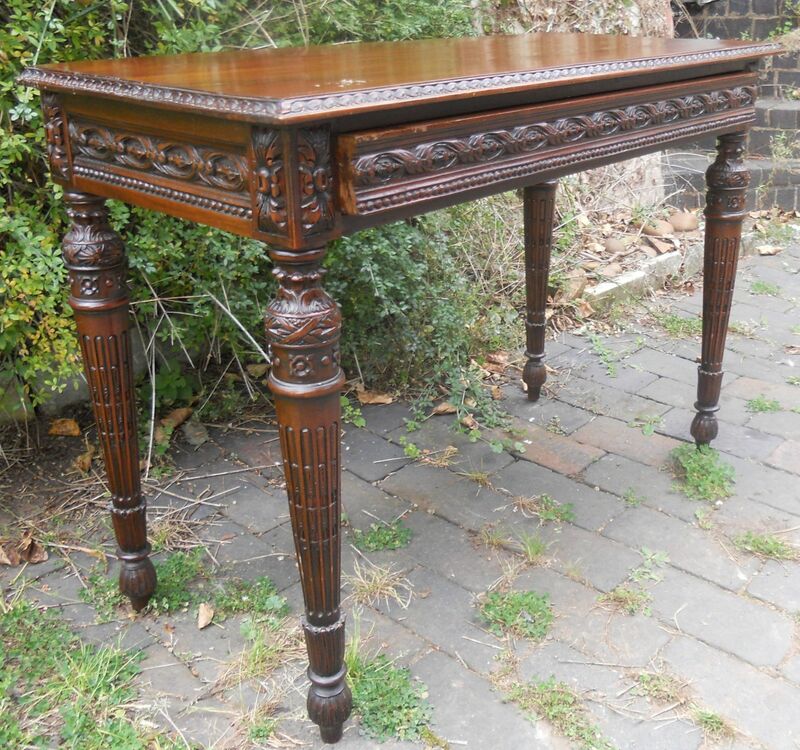 Nice quality Continental style mahogany side table raised on four turned legs. 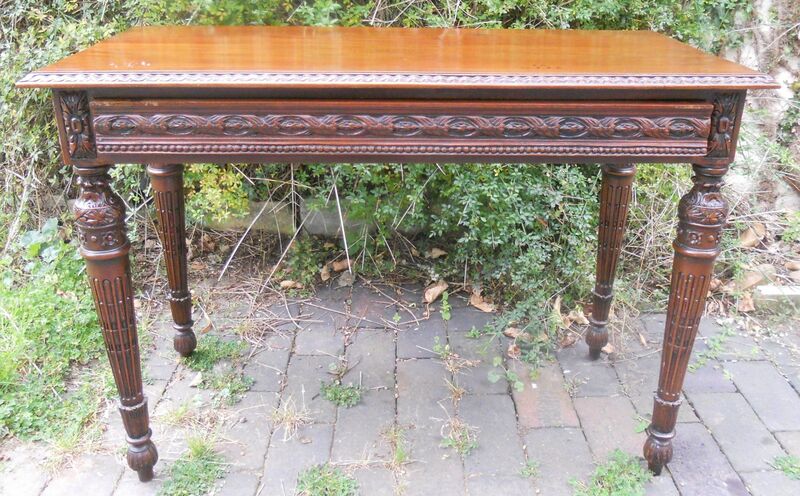 Having carved decoration and nicely polished top surface. 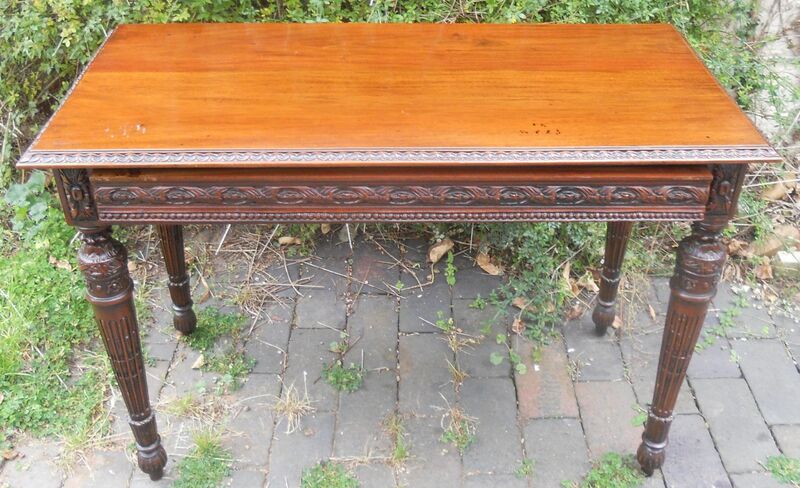 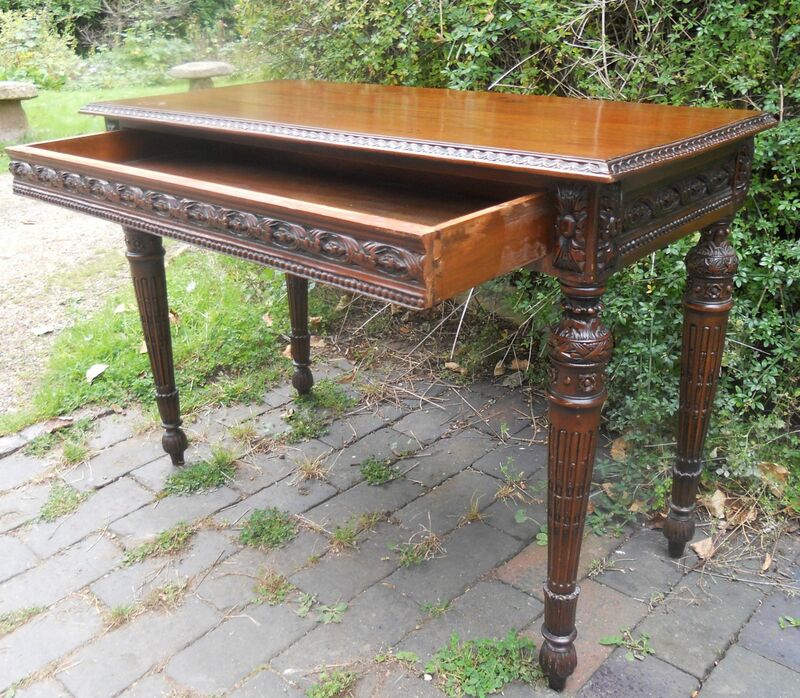 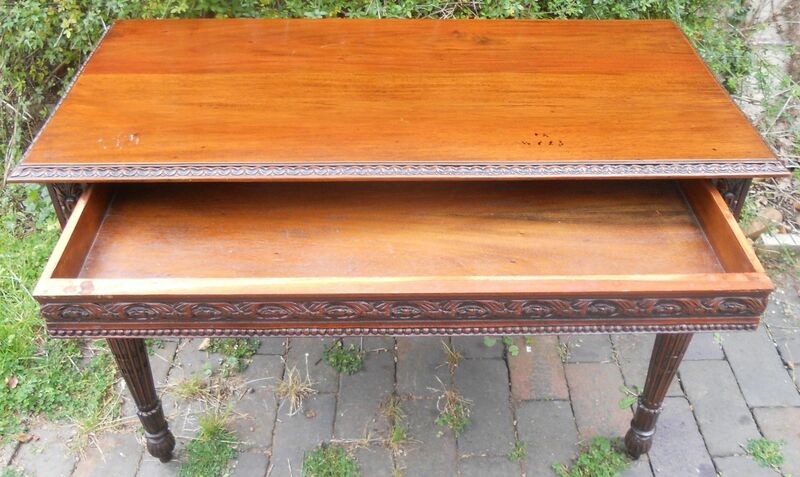 This attractive mahogany hall table is in sound condition.